Grey Alien Games » Blog Archive » Titan Attacks mobile – Developer Diary #9: Lasers and Bosses! Titan Attacks mobile – Developer Diary #9: Lasers and Bosses! Since the last update I’ve completed lots of minor things that needed to be done (see full details below), added lasers to some aliens and made all of the bosses work, which was quite a lot of work. – Added correct death sounds for all enemies. – Added floating text for money bonus. – Added floating text for skill bonus for shooting critically hit enemies. – Added Multiplier, Score and Cash to HUD. These are currently placeholders. – Finished gidrah and entity base class loose ends. – Collision is now radius-based instead of hitbox based. – Made sure you can only shoot bombs/mines and not enemy bullets. 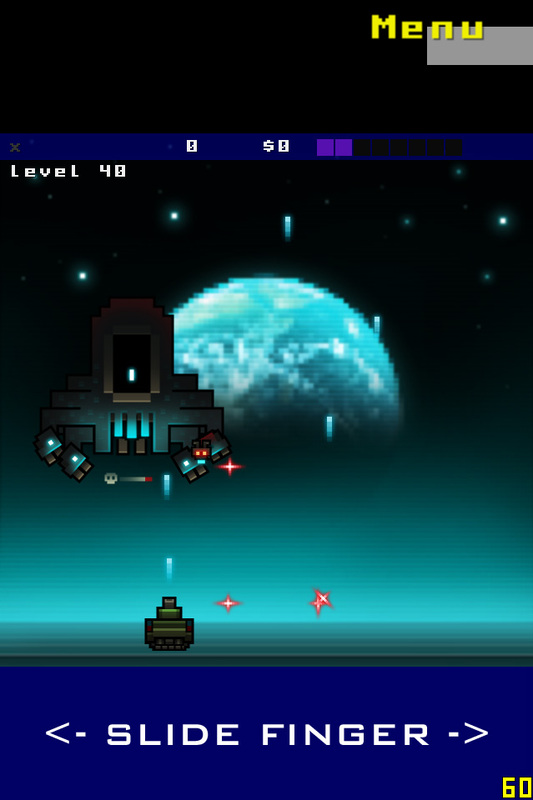 – Laserbrain now works (first seen on level 66 on Jupiter). – Added “Times X Multiplier” speech to start of level. – Added “Multiplier Deactivated” floating text and sound. – Added boss start and end text and “Well Done Commander” sound. – Made sure turrets move with boss correctly. – Made sure turrets have correct sounds, radius and hitpoints. – Made sure turrets can be shot and destroyed and die when boss dies. – Made turrets rotate and fire at player. – Fixed draw order of enemies, player and bullets by taking into account layers from xml. – Fixed draw order of Jupiter and Titan bosses/turrets/jaws. – Made sure only front part of Jupiter boss flashes. – Added power display to bosses and made it pulse. – Fixed mars boss pilot offset coordinates. – iOS testing and submit to Apple! This entry was posted on Sunday, January 12th, 2014 at 8:45 pm and is filed under Developer Diary. You can follow any responses to this entry through the RSS 2.0 feed. Both comments and pings are currently closed. Excellent work! It looks great!